When traveling in Spain over 20 years ago, I experienced some of the hottest driest days of my life. I remember sitting on a train swooning, feeling light-headed and wishing for more, much more water to drink. I also experienced Siesta - an almost mandated time lapse in the “busy-ness” of the day when folks take a break, close shops, and rest. As it was particularly hot during this trip, I really appreciated some time to sleep and wait for the sun to go down. Imagine you are one of Pepperwood’s salamanders. As you may know, these amphibians need water to reproduce. They also need to keep their bodies moist. In addition, their food supplies may be low in the drier months. As summer arrives, places of moisture such as Pepperwood’s Turtle Pond and Double Ponds begin to dry up. How would you cope with California’s hot and dry summers? Amphibians as well as many other animals undergo aestivation. Aestivation is a period of animal dormancy, similar to hibernation. It is characterized by inactivity in which animals lower their metabolism. Aestivation takes place during times of heat and dryness, the hot dry season, which in California is during the summer months. Animals that aestivate undergo very similar physiological changes as animals that hibernate. However, when conditions are right, aestivating animals can arouse more quickly than animals which hibernate. So where do animals hide when they are aestivating? Well, it depends on the animal. Some creatures seek solace underground, often in burrows, other bury themselves in leaf litter and rubble. Some creatures even climb trees or man-made structures to hang on during the hot times of the year. Several types of animals at Pepperwood aestivate. Last year Preserve Technician Celeste Dodge captured this incredible picture (left) of California Newts aestivating under a rock near turtle pond. Arboreal Salamanders commonly aestivate in the holes of large oaks especially, and are more tolerant of arid conditions than most amphibians. They adapt by curling their body and tightly coiling their tails! California Tiger Salamanders aestivate nine out of twelve months of the year. Turtles, salamanders, and frogs also avoid much movement during the hot summer months, as do some invertebrates including worms, snails, and even beetles. So as another California summer begins to embrace us with its wide, languid arms, maybe we should take a cue from the animals of Pepperwood? Relax and take time for a long nap! We're excited to host Dr. Vance Vredenburg of San Francisco State University for our next Discover Nature lecture on Amphibians! 1) What got you interested in amphibians in the first place? I wanted to conduct research on a group of animals where I felt I could have conservation impact. They are so threatened that it seemed to make sense. I also wanted to work in a system where I could directly handle the animals (mammals and birds were out!) and I’ve always been fascinated by amphibians. 2) Your work seems to span the globe. 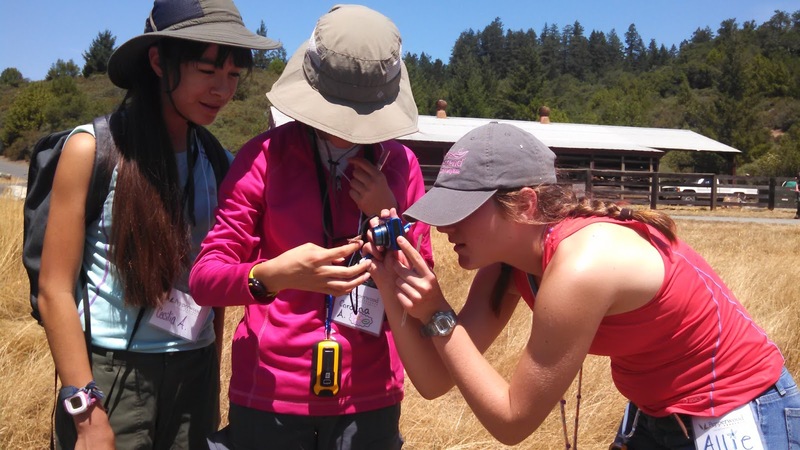 How are challenges to amphibians in Northern California similar or different than the challenges face in other regions? In many ways they are similar. A pandemic disease is affecting amphibians in similar ways in Northern California, Chile, Spain, China, and even Palau and humans are the cause of the pandemic. 3) Can you tell us a little about AmphibiaWeb? What prompted you to start this on-line web portal? AmphibiaWeb is an online amphibian conservation portal. I started it with David Wake (a professor at UC Berkeley) when I was a graduate student back in 1998. 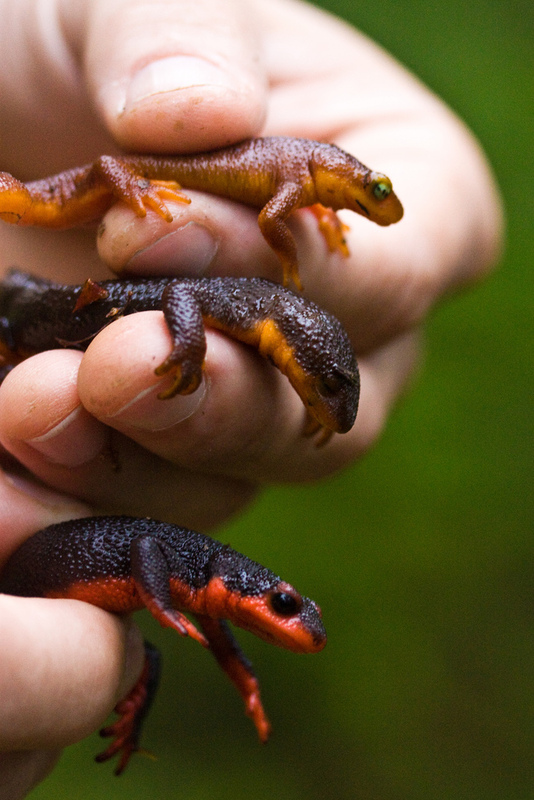 It was created and is maintained by volunteers interested in saving the world’s amphibians. It provides information (e.g. conservation status, photos, range maps, etc.) on every known species of amphibian and gets over 7.3 million successful queries per year. Newt photographed by 2014 TeenNat intern Mario Balitbit. 4) What can average community members do to help promote the survival of amphibian species? Become educated about the species that live in our natural world, sometimes even in our front yards (e.g. California slender salamanders are the most common amphibian in California), help spread the word that releasing amphibians purchased in the pet trade should never be done, and become involved in a conservation organization. Dr. Vredenburg was raised in Mexico and the United States. His scientific training began as an undergraduate at the University of California Santa Barbara where he worked on ecological research projects in coastal California, Alaska, the Caribbean, and Antarctica. His current research focuses on the ecology, evolution and conservation of amphibians including the ecology of emerging infectious amphibian disease, the role of the skin microbiome in health and disease, and the role of climate change and behavior on disease dynamics. 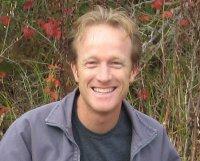 Dr. Vredenburg the co-founder of AmphibiaWeb an online conservation resource for the world’s amphibians. His research seeks to understand how some populations of frogs survive epidemics. Dr. Vredenburg is a research associate at the California Academy of Sciences and will be presenting on the conservation and threats to native amphibians. Learn more at the Vredenburg Lab website. Allie examines a specimen near Pepperwood's Double Ponds. It’s strange for me to think that, as the month of July approaches, it will have been almost exactly a year since the day I started my internship at Pepperwood Preserve. It feels as if no time has passed at all. I can easily imagine it was only yesterday that I was making an observation, finding GPS coordinates, and uploading my photographs onto iNaturalist.com. It’s also extremely strange for me to think that I’ll soon be entering my senior year in high school and that, in a few brief months, I will need to make a larger decision than I’ve made in all my life: to choose the area of study that I will supposedly pursue for a lifelong career, and which university I will go to to study it. Luckily, my experience in TeenNat has made that choice a little bit easier for me. Allie (right) and other TeenNat interns at Pepperwood. Before the internship, I did have a genuine interest in science and nature. In my freshman year biology class I had taken part in the UC Davis CAMEOS (Coastal, Atmospheric, & Marine Environmental Observing Studies) program, collaborating with classmates to design and implement our own experiment. (Ours, interestingly enough, was on cyanobacteria. It kind of worked out). For four years, I had been on my schools’ running teams, and training runs took me up and down the beautiful trails of Annadel State Park. While I was running I not only got to be surrounded by nature, but enjoyed feeling as if I was part of it. My love for the outdoors is ultimately what drew me to the TeenNat program. A whole new world of investigative science was opened to me at Pepperwood. We were told that even the tiniest observations were significant. Nobody thought it was the slightest bit strange for Celeste (Pepperwood's Preserve Technician) and I to be crouched on the ground for ten minutes, observing and intensely discussing an insect the size of my fingernail. I realized then that I couldn’t move on from a learning experience unless I felt my understanding was full and complete. Western Fence Lizard, photo by Allie Ahern. Whenever I go on hikes or runs now, I’m usually in the back. Chances are something has caught my eye, like an intricately patterned moth, or perhaps a plant that doesn’t look quite like the others. Usually I end up asking, why? Does the pattern serve as camouflage? Has the plant succumbed to a disease? I am now much more observant of my natural surroundings, and more conscious as to how my presence is affecting them. Conscious enough that I’m seriously considering Environmental or Earth Science as my choice for a major in college. The work that we did during TeenNat, in making observations and in following experimental procedure, gave me a taste of what a career in these fields would be like. I absolutely loved it, and because I cherish the beauty, complexity, and bounty of nature, I feel as if I must pay it back for all it’s given me. Manzanita gal with aphids, photo by Allie Ahern. Additionally, TeenNat has left me feeling a whole lot more prepared for the “real world.” From meeting up with professionals in science careers to emailing back and forth with TeenNat leaders, I got a better understanding of what it means to “network.” Our leaders shared their personal experiences, both educational and professional, and now I realize that success doesn’t have to mean a straight-shot to college and a career. Paths can meander. I can pursue internships, do volunteer work, or maybe even take a year off for travel. So, not only did I learn skills valuable to my future, I am more confident in my own abilities and in myself. I can’t wait to see what comes next! Click here to learn more about Pepperwood's TeenNat program.